Set back in the late 1800s in a Victorian village, a man and woman by the names of Victor Van Dort and Victoria Everglot are betrothed because the Everglots need the money or else they'll be living on the streets and the Van Dorts want to be high in society. But when things go wrong at the wedding rehearsal, Victor goes into the woods to practice his vows. 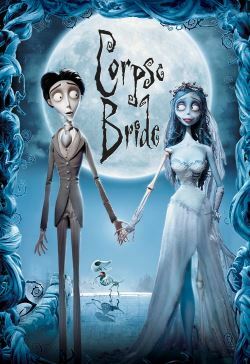 Just as soon as he gets them right, he finds himself married to Emily, the corpse bride. While Victoria waits on the other side, there's a rich newcomer that may take Victor's place. So two brides, one groom, who will Victor pick?